For this piece, I photographed Muggles in winter snow, but later decided to paint her on a Turkish rug. 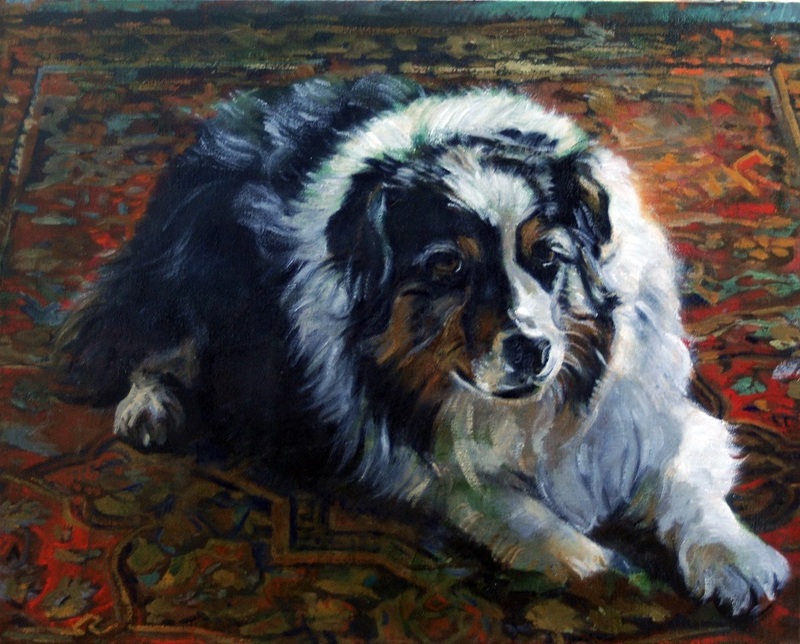 Muggles on Her Rug was accepted to the 27th Annual Art Show at the Dog Show in 2013, a great honor. Please see my News update about this national canine art exhibition.